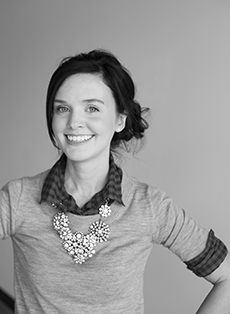 I'm delighted to introduce you to Meredith, this week's NRG contributor. While you're at it, be sure to bookmark her blog, It's Like This, which has become one of my favorite daily reads! 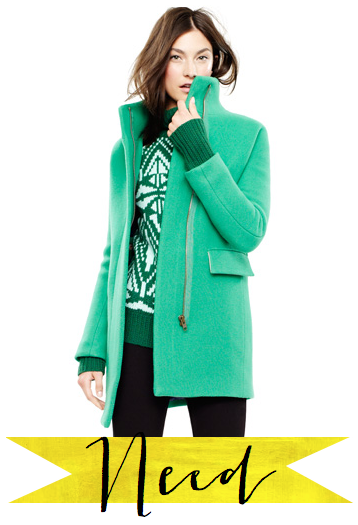 Need: I'm in the market for a new coat, and this Cocoon Coat combines coziness and style. It seems like the perfect option for the chilly San Francisco weather. Read: I just started this book and the quirky story drew me in right from the get go. This week, I went to a lecture by Nick Hornby and he mentioned really liking this book, so it is famous author approved! Greed: These are the ultimate. I have been dreaming of one for a few years now. And, the lady behind the company, Roxy Owens, is a real gem. She was one of the first followers of my blog! I am not sure my home will feel complete until one of these is mine. The Cocoon Coat is YUMMY! I like your style. 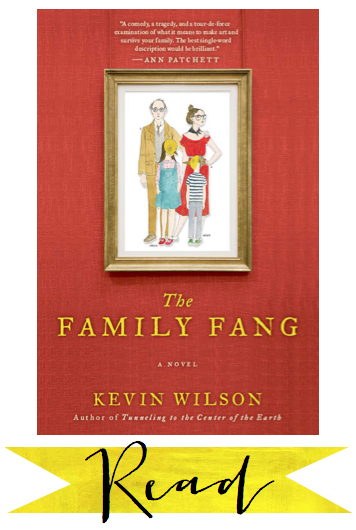 I researched this book and Oprah's Book Club said it's a cross between "The Addams Family" and "Arrested Development." It sounds wonderful and weird -- I'm sold! 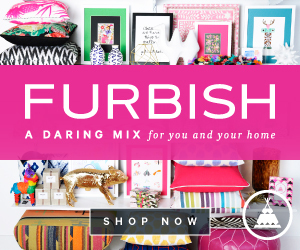 Roxy's decor is swoon worthy. 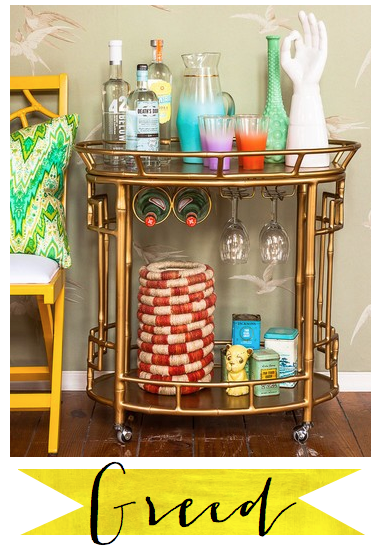 I'm also coveting one of her bar carts; I would consider it a gilded shrine to gimlets. I think we should be BFFs, Meredith! Loving these three picks!! And now so intrigued about this book.. must investigate. Also now thoroughly interested in the woman behind the picks, so going to check out Meredith's blog now! Excellent picks! I am really enjoying Meredith's blog as well. Thanks for the introduction!